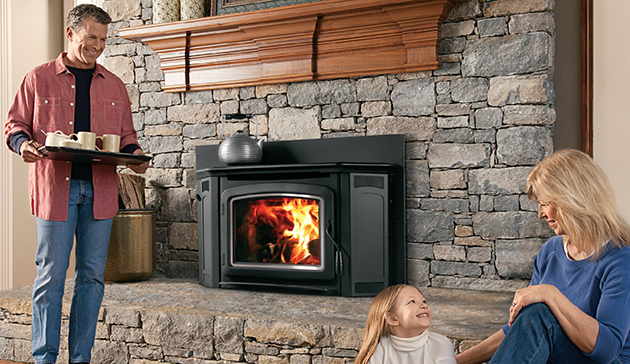 Do you want to make your existing wood burning fireplace more cost and heat efficient? Our selection of very attractive high tech wood and gas burning inserts fit into your existing fireplace to make heating your space considerably more cost and heat efficient. Some can even operate with a thermostat. Take a look at our Mendota FV44i gas Insert. Come by our showroom to see it in person! All IronStrike gas inserts, wood inserts and pellet inserts signify a product that is made to perform, built to last a lifetime and as efficient as you are. It’s our way of making life simpler and a lot more enjoyable. Because coming home should be the easy part.